There are so many great opportunities in Boise right now for investors. And I’m using the term investor loosely here because this home would work really well for a First Time home buyer who is willing to take on a bit of a project to gain equity in their first home. The bad news is this home is a short sale which isn’t always great for investors looking to put their money in a property next week, but I know the listing agent and she is honestly the best in the valley, so I thought I’d still share it especially since I’m thinking this would fit more with the First Time Home Buyer who wants an investment. 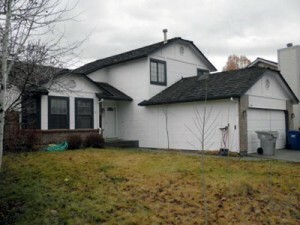 7967 W Thunder Mountain Dr was just listed for $80,000 and is a 3 bed, 2 bath 1680 sq ft home. It needs some work. There are some home improvement projects that were started but not finished. But you could live in it today and not be in a construction zone. I put together a pro-forma you can download here if you’d like; I estimated a $75,000 sale price and $10,000 in needed improvements. Since its a short sale, who the crap knows, but that’s what I’m thinking. The Cap Rate comes in around 8.25% assuming $900 in monthly rent. It Cash Flows with 25% down at almost $230/ month or $2,760 annually. And the Cash on Cash Return with 25% down is 33% which is great. These numbers are geared more for the investment crowd, but a first time home buyer looking for an investment project for his or her first home will also want to look at the numbers. If you’d like to view the home or talk more about it please don’t hesitate to contact me!